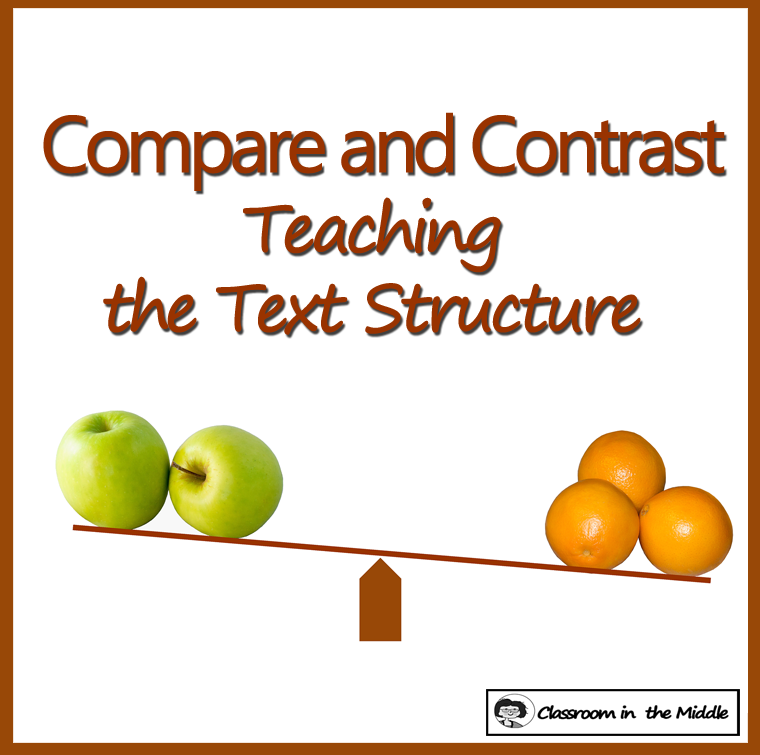 There’s so much you can do with the text structure of compare and contrast. 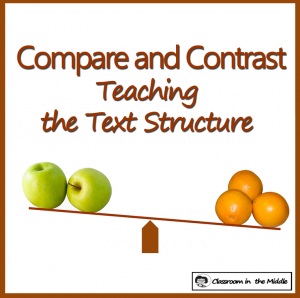 As a reading skill, kids can compare two things, characters, or places from a story or article. They can also compare two articles about the same topic that have different points of view. 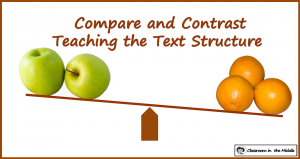 Or students can practice writing a compare and contrast essay of their own, or how about a compare and contrast poem. 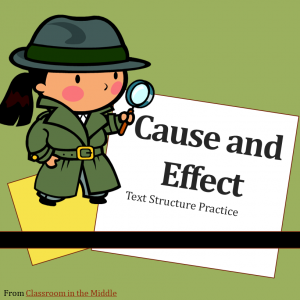 This text structure can even be introduced without using any text by having students compare favorite objects, clothing styles, or personalities of real people and things. 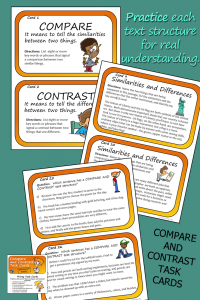 The idea of compare and contrast could even be used to lead into a figurative language lesson. After all, both similes and metaphors are based on comparisons, comparing two things that are mostly different but alike in one essential way. Think about common metaphor, “Her smile was a ray of sunshine.” A smile and sunshine are different in most ways, but in one important way they’re alike: a smile and sunshine can both brighten up your day. 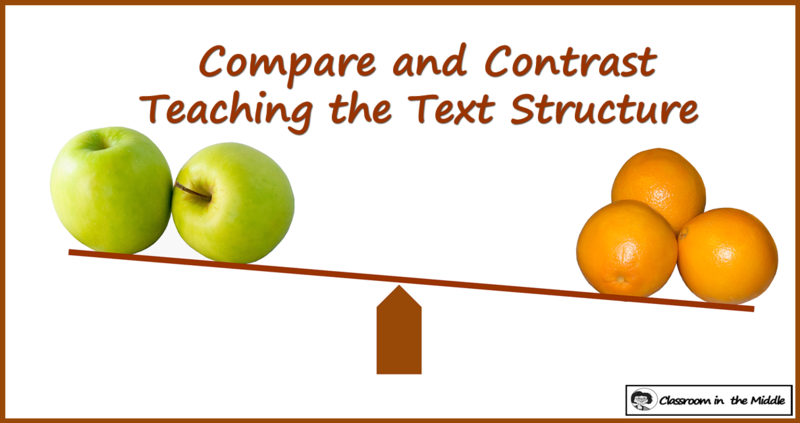 With my teaching resources about the compare and contrast text structure, I included lots of good examples to help kids get a good understanding of the text structure as well as a variety of practice activities. 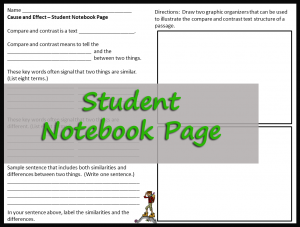 Here you can see some of the slides from the slide presentation, as well as the student notebook page that can be printed out in advance for kids to complete as they view the slides. The slides include more student practice. Click on an image to see the full preview. 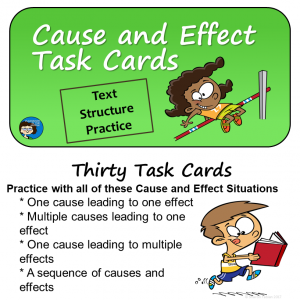 Task cards work great for classroom games or activities like centers and stations, but also as individual practice for kids who need a little extra practice or review. Click on this image to see the details.